Enjoy your favourite cold beverage with a printed beer coaster! Great for bars, events, restaurants and more. One of the best selling beer coasters we offer! 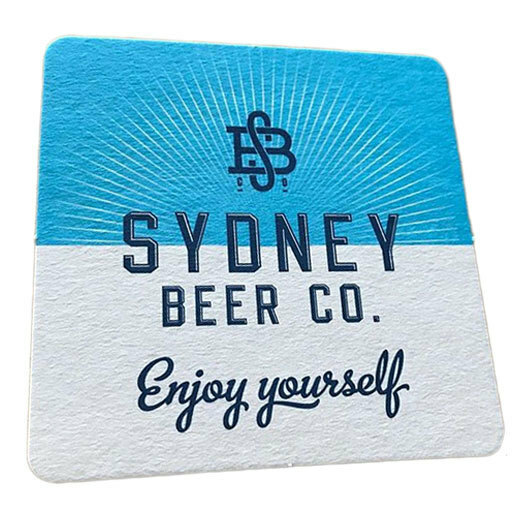 They're Australian made and include your logo and design in a full colour CMYK print on one side of the coaster for a massive marketing impact. They're highly absorbent and have a thickness of 365gsm for the beer mat board. They're also printed using "Green Print" sustainable methods and manufactured from sustainable pine.